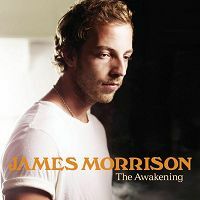 The song James Morrison - Right By Your Side is professional recreation. It is not by the original artist. Get To You James Morrison Your browser does not support the audio tag. I Won't Let You Go James Morrison Your browser does not support the audio tag. If You Don't Wanna Love Me James Morrison Your browser does not support the audio tag. Nothing Ever Hurt Like You James Morrison Your browser does not support the audio tag. One Life James Morrison Your browser does not support the audio tag. Please Don't Stop The Rain James Morrison Your browser does not support the audio tag. Right By Your Side James Morrison Your browser does not support the audio tag. The Pieces Don't Fit Anymore James Morrison Your browser does not support the audio tag. Undiscovered James Morrison Your browser does not support the audio tag. Wonderful World James Morrison Your browser does not support the audio tag. You Give Me Something (no vocals) James Morrison Your browser does not support the audio tag. You Make It Real James Morrison Your browser does not support the audio tag.